The BIG problem we have here (MENA region) is that everything you read and see on the internet is uploaded by bonsai artistes/experts/enthusiasts who live in climatic conditions completely the reverse to ours! 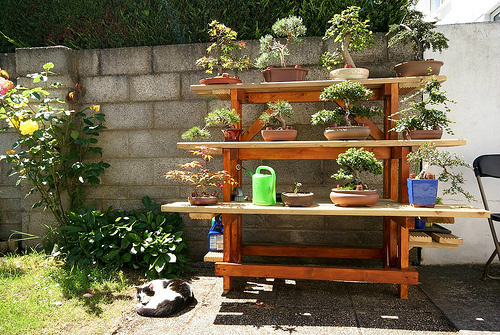 We live in a pretty unique climate when it comes to growing bonsai trees, the Summers are cold and the Winters are warm (referring to tending indoor bonsai). We have our AC off in the winter so temperatures are in the mid 20's and when you your bonsai tree thinks warm weather is here in Spring and then Summer.....we turn on the AC and we drop the temperature to 20-22C!! 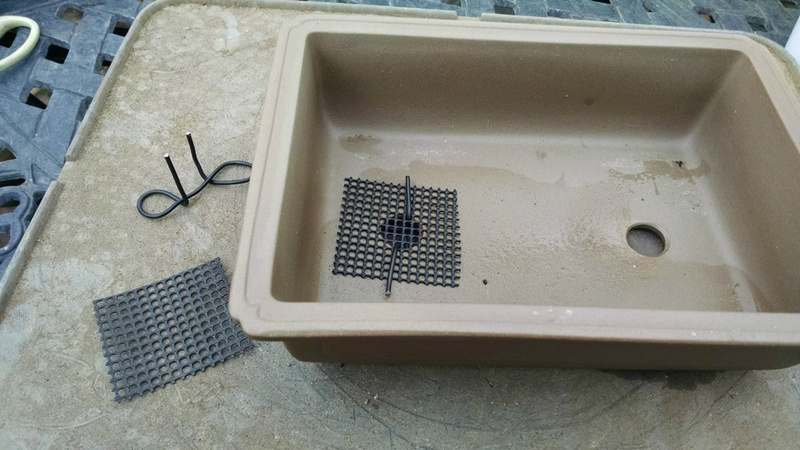 So, no surprise there are problems with dying bonsai here, it's not just the temperature contradictions but the potting medium makes an enormous difference to your success with your bonsai tree. As the garden centres and nurseries have absolutely no idea of what they are selling and/or telling you, it's understandable that the majority of bonsai novices here start with a bad experience..... i.e. a dead bonsai tree! The Bonsai 'Workshops' are Great Fun! Our Workshops and Classses put an end to these costly and sad happenings. 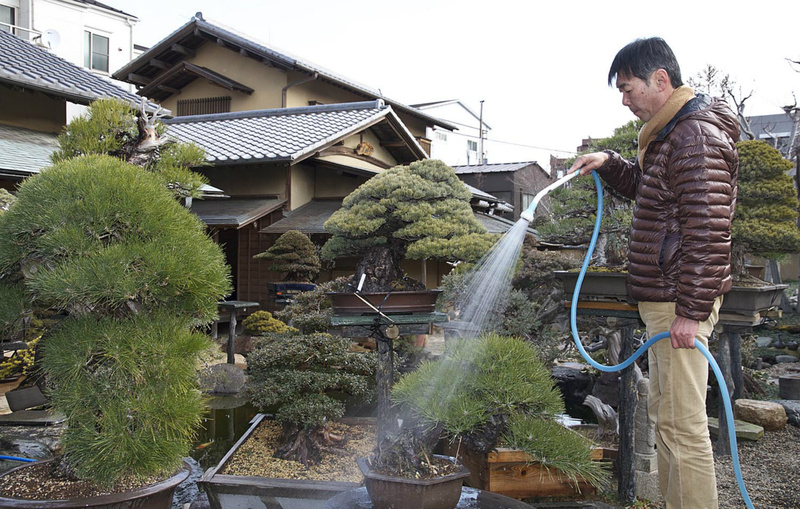 We run weekly bonsai training workshops throughout the year, but mainly focusing on the cooler months from November to March. 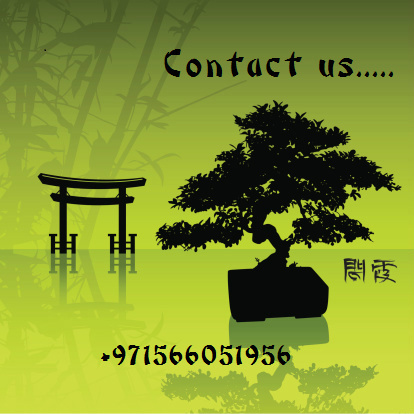 If you'd like to attend one of our bonsai courses, which are designed around our customer’s requirements, then please contact us. 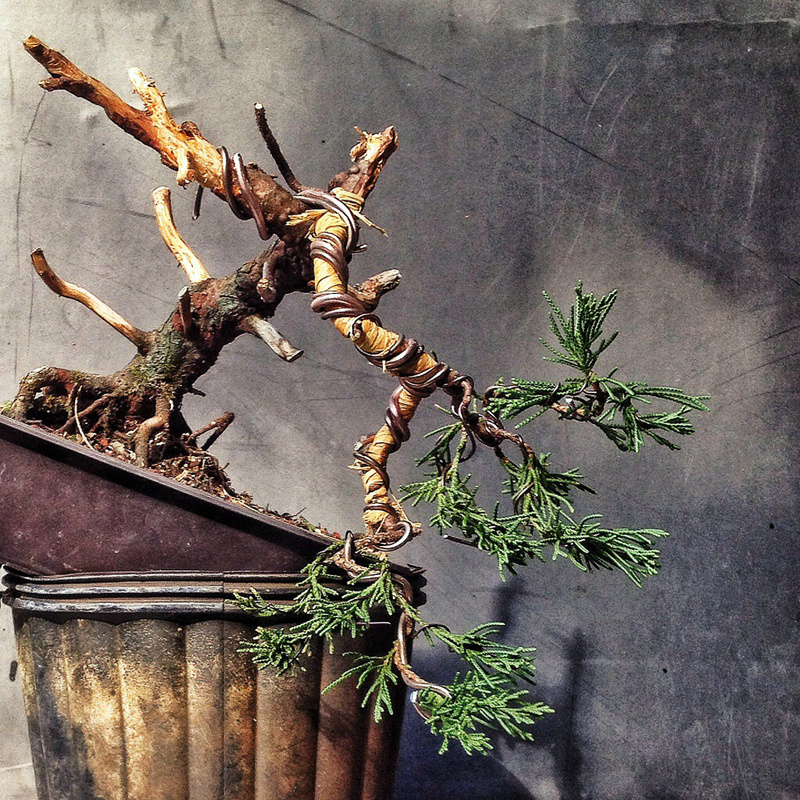 Classes are run for the bonsai novice through to the specialist. 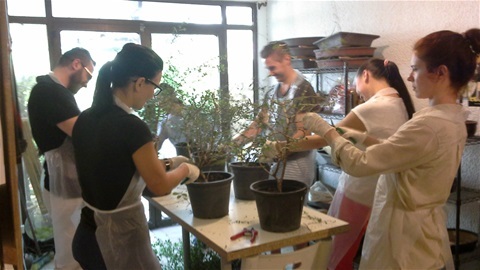 At our Bonsai Workshops you will learn about different types of trees, the most suitable types of tree for bonsai and styles of bonsai trees. 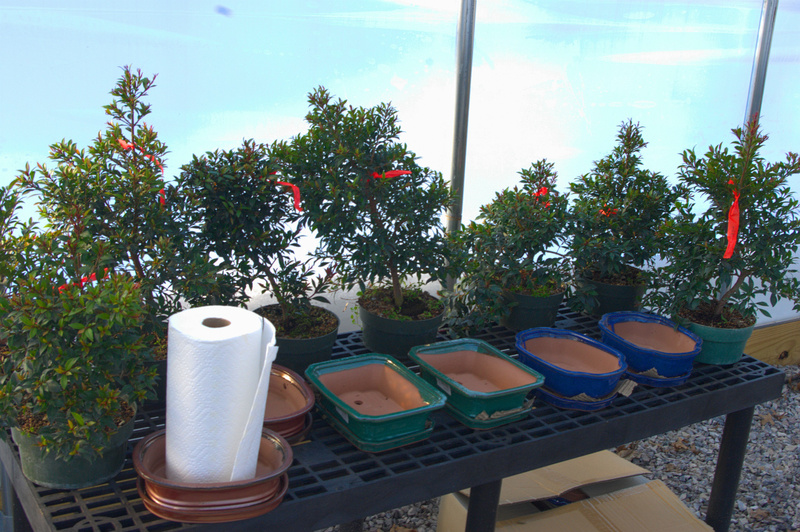 The bonsai pots, potting medium, how to water and where to keep your bonsai will be discussed and explained. Repotting bonsai trees will take place at the appropriate time of year depending on the variety of tree, Ficus and most tropicals (suitable for indoors) can be re-potted all year round (with a few exceptions). 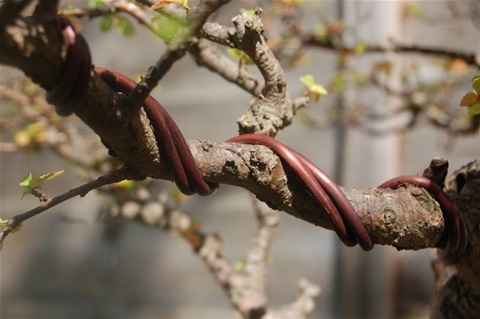 The tantalising and rewarding part of the Bonsai Workshop experience though is styling and creating your own starter bonsai, restyling where required, wiring your own tree to the desired shape and learning when and how to trim. At the end, you will leave the workshop with the confidence and knowledge of how to treat your bonsai, keeping it healthy throughout the year. A three hour class/workshop (usually runs to about 4 hours), including starter tree, authentic ceramic bonsai pot, potting medium and hands-on guidance to achieve a finished pre-bonsai to take home is 450/- (price for 2 people is 800/-). Payment can be in advance (contact me for account payment details), you will receive a voucher by return upon receipt of payment, the voucher is valid for three months or cash payment can be made on the day, 48 hours notice required if you need to change your attendance date or number of attendees. Please do not use the Groupon Vouchers (which are not valid), book directly. Our 'Bonsai Workshops' are great fun! 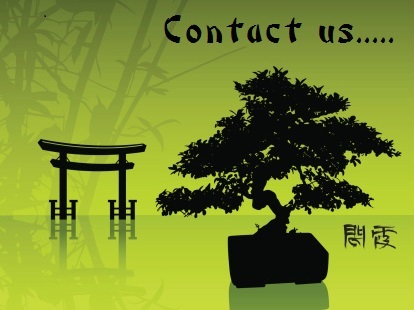 If it's it's your first encounter with bonsai or you've had a 'bad experience'......then you'll gain all the knowledge on how to keep your bonsai healthy and happy!